Once again this year I had the pleasure of working with Animal Planet to take the official puppy portraits for this year’s Puppy Bowl XII. The photo shoot itself is a sport— an exuberant Olympic games in its own right. Here are some unofficial “game” day stats: 11 hours, 80 puppies, 4080 images and innumerable instances of human cajoling involving silly faces, shrill noises and squeaky toys. Visit Animal Planet’s Official Puppy Bowl site for more photos of the starting line up and puppy profile videos. Recently worked with MR Magazine photographing Lord & Taylor and Hudson’s Bay SVP of design for menʼs private brands Peter Rizzo. As is usual with magazine shoots we had only 10 minutes – and it was 7:30am. Thankfully the Lord & Taylor staff had the set built the night before. 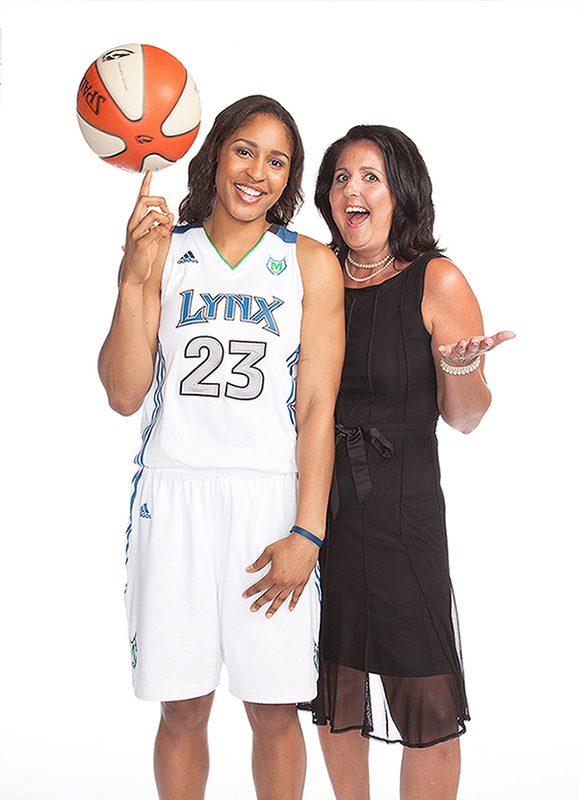 Congratulations to Maya Moore (Minnesota Lynx) for being this year’s WNBA MVP. Here are some outtakes from a TeachersCount photo shoot with her 4th grade teacher, Joni Henderson. Shot on location at the Target Center in Minneapolis. Libby Peterson is the latest to be photographed for my Redhead Project series. She wrote a wonderful blog post about her experience for Rangefinder Magazine’s blog – read it here. Recently worked with Meghan Rothschild: Cancer survivor and Melanoma Foundation of NE spokesperson. Also the proud owner of chikmedia, a full service marketing and PR firm.